The oath taken by health care providers begins, “First, do no harm.” But some doctors get this very, very wrong. Recently, a Florida car accident victim is accusing her surgeon of committing medical malpractice in West Palm Beach, saying she went into the hospital for spinal surgery, only to awaken from surgery and learn one of her healthy, fully functioning kidneys was removed unnecessarily. South Florida medical malpractice attorneys refer to these as “never events,” because there is no acceptable reason they should ever happen. Yet they do, and all too often. Unintended retention of a foreign object in a patient after surgery. The procedure for which she entered was a fusion of two vertebrae in her lower back to help relieve the ongoing pain of a car accident the year before. However, during the procedure, the surgeon reportedly noticed there was a large mass in her pelvis. Suspecting cancer, he chose to go ahead and cut it out. However, according to administrative complaint filed with the Florida Department of Health, it was not a tumor, but rather one of plaintiff’s vital organs. Specifically, a pelvic kidney, meaning that while functional, it did not fully descend to its normal position in her upper abdomen when she was still in her mother’s womb (MRIs taken prior to the surgery showed the kidney in that position). Luckily, she still has one remaining. 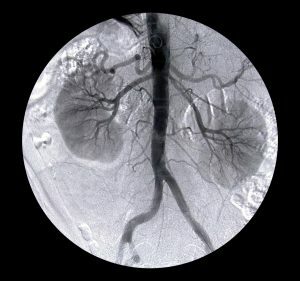 While people can survive with a single kidney, it can cause a number of complications, particularly contributing to high blood pressure later in life. Plaintiff now says she is in Stage 3 kidney failure, for which she may need long-time dialysis or a kidney transplant. Although the doctor later settled for a “nominal” sum with the plaintiff, he denied fault, still has an active medical license with record of discipline on file. The health department has recommended the state medical board consider suspending or revoking his license or placing him on probation. Meanwhile, plaintiff’s injury attorney alleges the hospital is at-fault for failing to inform the doctor of the pelvic kidney discovered in the imaging results. The hospital denies both vicarious and direct liability for plaintiff’s injuries. If you have suffered injury or illness as a result of a doctor, nurse or other medical professional deviating from acceptable care standards, our West Palm Beach medical malpractice attorneys can help answer your questions.